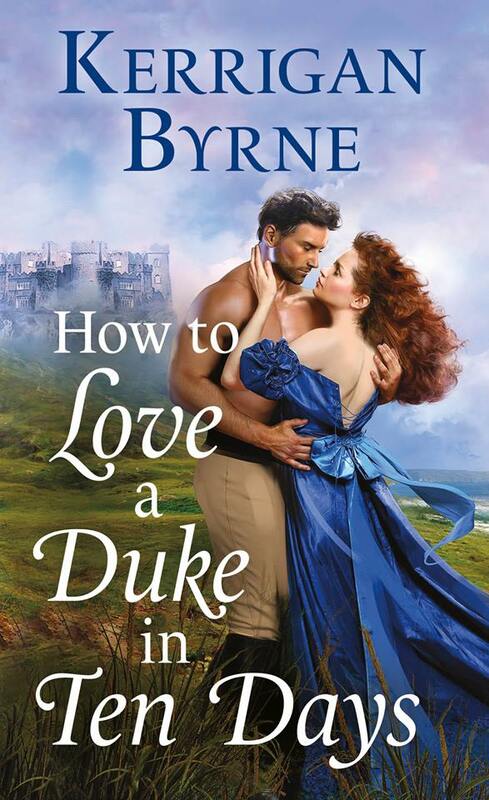 Feast your eyes on the cover of Kerrigan Byrne’s upcoming historical romance, HOW TO LOVE A DUKE IN TEN DAYS. This is the first book in an exciting new series (The Devil You Know), centering on a duke’s relentless quest for revenge. I CANNOT WAIT!!! Last year I fell in love with Kerrigan’s unique voice—she’s an exceptional storyteller whose stories tout both sweeping romance and an edge that sets her apart from everyone else. This latest is out August 27th, and you can pre-order now below. Piers Gedrick Atherton, the Duke of Redmayne, has one purpose. Revenge. To attain that, he must secure a legacy as old as the empire by claiming a wife. Lady Alexandra Lane has a deadly secret. When the specter of her violent past threatens to expose her, Alexandra learns just how much she stands to lose. If she sacrifices her body on the altar of marriage, the terrifying Duke vows to protect her, but she fears he’ll change his mind once he realizes what she’s hiding. Ever suspicious, Redmayne knows his wife is concealing something, but he soon realizes that the truest terror is losing the woman who’s come to own him body, heart, and soul.